This gorgeous townhouse complete with luxury upgrade will take your breath away! Marvel at the custom finishes, top of the line appliances, and beautiful quartz countertops. You will love the dream-like lighting, tons of storage, custom blinds, new floor, dishwasher, and washer/dryer. Cozy up by the fireplace in the spacious living room. The many windows throughout the home flood with natural light. Step out to the nicely finished patio to enjoy the Colorado sunshine. This is a great place to host a barbecue, gathering, or your morning cup of coffee. The level of luxury and professional craftsmanship this home exhibits are unparalleled! Wonât Find Another one like this! Don't forget to check out the amazing clubhouse and pool. 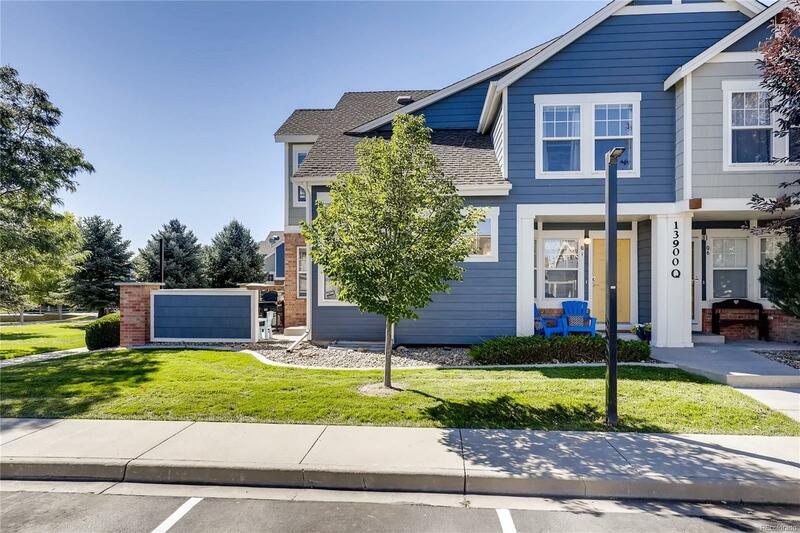 City of Broomfield park with top of the line playground and unbelievable Mountain Park bike are near by! You won't want to miss out on this opportunity!